Rather than have more bells and whistles you can shake a stick at, we've developed only the core features you need. It's better this way. This isn't one size fits all; this is designed for the modern lawn care business. LawnStarter Pro is designed to save you time so you can spend more time fishing chasing down commercial clients. Our lawn care software allows your crews to mow more yards per day while reducing sunk cost from down time. Keeping track of a schedule is a breeze. Simply enter your jobs and what type of recurring schedule you'd like, and check em off as you complete them. Additionally, your customers are notified each time a job is completed or rescheduled. Stop wasting your operating capital and your crews time by automatically giving them the optimal route to complete all jobs on any given day. 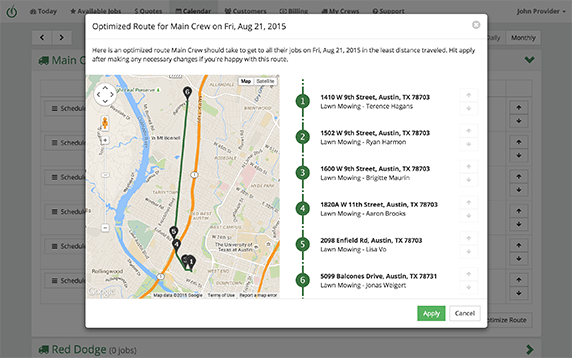 Powered by OptiMOWzation™, you can rest assured that your routes don't send your crews zig zagging around town. 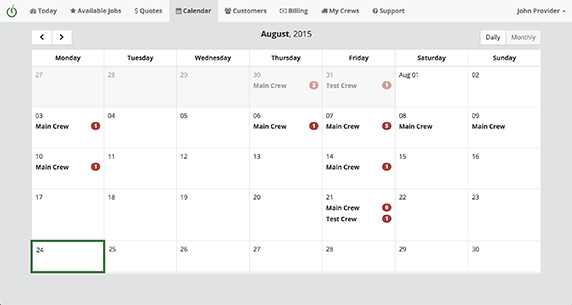 You can also adjust your routes according to your preferences before updating your crew's schedule. Making sure you get paid is one of your top priorities. 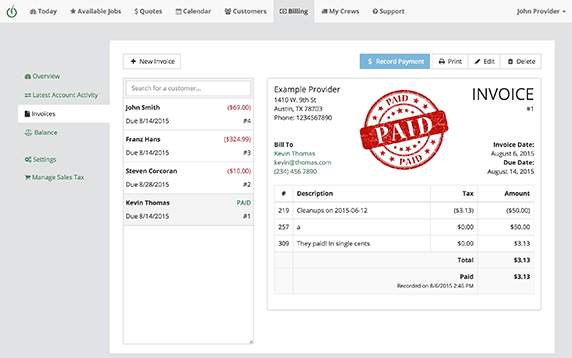 With easily accessible and printable invoices, you can make sure your customers always have the latest bill. Recording received payments is just one click away. Doesn't sending out paper invoices get kind of old? Well guess what, your customers don't like it any better than you do. 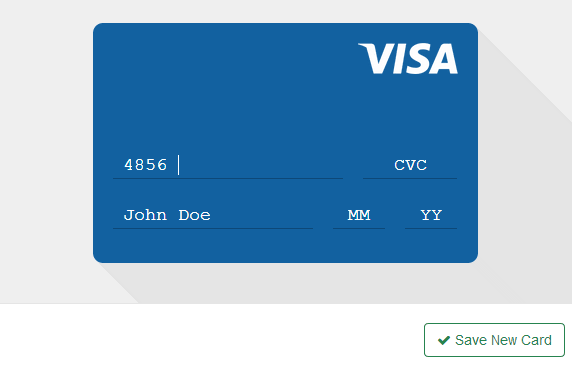 With LawnStarter Pro, you can opt to either send an email invoice or have a customer's card charged automatically after each job is completed. Either way, it beats picking checks up from under the doormat.